The Women and Equalities Committee’s report entitled “Employment opportunities for Muslims in the UK”, released on Thursday 11th August 2016, makes a great number of recommendations to the Government on improving the accessibility to employment for British Muslims. According to the report, unemployment rates for Muslims are more than twice of that of the general population at 12.8%. A further breakdown shows 41% of Muslims are economically inactive, 65% of which are women. Addressing and removing barriers to employment for Muslims, and Muslim women should be an absolute priority for the Government. The recommendations made in the report about the need for better, comprehensive data, will go a long way in helping us understand better where the issues are within our systems and institutions. Once we have these, other suggestions, such as “equipping Job Centre staff with the tools and training to improve their understanding of employment issues”, and asking universities to publish “strategies to improve the under-representation of Muslim students” can be enacted effectively, based on evidence. The move towards “name blind recruitment” is also a welcome step towards ensuring equality and reducing discrimination at application stage. Whilst addressing unemployment in Muslim communities must be a priority for Government, it must be a priority for Muslim communities too. And this is where, I fear, we fall down. No matter how excellent the recommendations and proposals set out by the report are or how effectively they are implemented, they will only lead to minimal improvement for the biggest proportion of Muslims that are economically inactive: Muslim women. The report does well to highlight the additional barriers faced by Muslim women, borne out of cultural, parental and religious expectations and limitations, especially regarding matters such as going to university, childcare and traditional family roles. For example, following on from the point made about the under representation of Muslims at Russell Group universities, the report rightly points out that for Muslim girls, parents will push for the nearest university rather than the best one — due to expectations that girls must stay at home, driven by religious beliefs or cultural norms that discourage Muslim girls and women from living alone or exercising their agency. Another example is the statistic that 44% of economically inactive Muslim women are inactive because they are looking after the home, compared to the 16% of the national average. The report notes that there may be lack of awareness of free childcare available to individuals, however there is also still the reality of the stigma about “leaving your kids and going to work” when it is oft-repeated that a woman’s primary (and often her sole role) is motherhood. 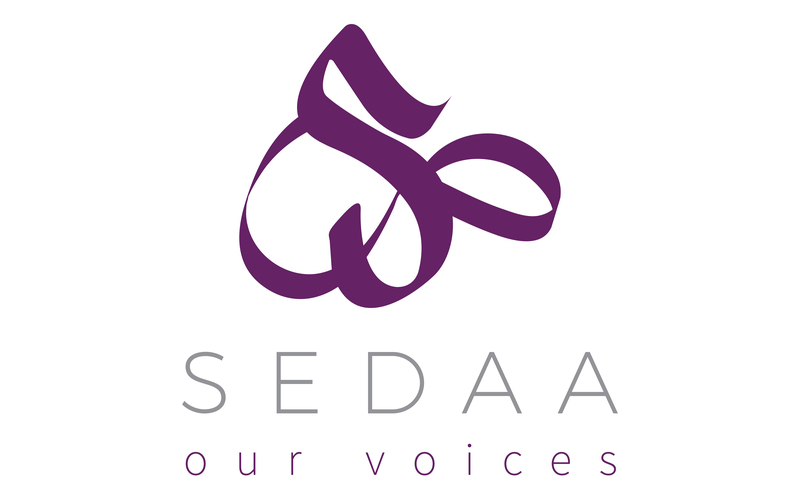 Initiatives cited by the Muslim Council of Britain (MCB) such as their work with Reed employment agency to “access Muslim women” are welcome, as are requests by the group to the Government to “provide Muslim women with more focussed support”. However, what we also need to see is groups like the MCB engaging with their own hundreds of affiliates, mosques and Islamic community organisations to start changing attitudes towards women and pursue a more active gender egalitarian approach. The Committee’s report states “mosques can also play an important role in promoting opportunities for women”- but who will make them? Apart from a few exceptions, to date, they have shown little appetite for such positive action. The vast majority of mosques, affiliates of the MCB, are still hostile places for women, failing to offer adequate provisions and facilities for women, still running male only boards, making women sit in separate rooms and talking to them through doorways and publishing guidance that women must not travel alone more than 48 miles, wear trousers or have Facebook accounts. Instead, efforts from some Muslim organisations and our so-called community leaders are concentrated on much less significant matters. There is a recommendation for the Government to publish their timetable to introduce Shariah compliant student finance- groups, something the MCB lobbied hard to bring about. However, the lack of “halal” students finance is only a barrier for the tiniest of Muslim minorities. HSBC, who with much fanfare announced so called “halal mortgages” in 2008 after being led to believe there was an overwhelming demand discontinued the product in the UK in 2012 due to the lack of uptake. This should highlight how small an issue this is. If only a similar amount of energy and efforts went in to our communities when it came to changing attitudes and working towards gender equality and economic freedom for Muslim women. Instead, Muslim organisations such as Inspire and others that endeavour to undertake this work are attacked, rubbished and subjugated to misogynist abuse, highlighting how difficult the struggle for gender equality within Muslim communities is. It is not only the intra-community gender discrimination that disadvantage Muslim women. The report correctly draws attention to the increase in anti-Muslim prejudice in our society and the disproportionate way it impacts women who are “visibly Muslim”. There has been quite substantial evidence indicating that Muslim women are being discriminated against in the workplace, in job applications and during interviews; in fact in every stage of the recruitment process. Muslim women experience what is often referred to as the triple penalty: discrimination on the basis of their gender, ethnicity and religion. This is a clear violation of the equality act 2010 and the report is right to address this. Socialising at work is cited as a barrier, alongside the lack of these soft skills, which are developed through engaging and socialising with wide and varied circles. While employers can do more to ensure all staff socially feel part of the workforce, offering diverse out of office venues for example, it is also important to recognise the limitations and even harm of those who hold puritanical interpretations of Islam which often actively discourage socialising or striking up friendships with non-Muslims. I have seen how this can become an inhibiting factor when searching for work or considering an employment opportunity. In conclusion, yes the Government needs to separate their attempts to tackle inequalities within Muslim communities from their counter-extremism policy, provide more support through their systems and job centres. Yes, employers need to look at how they can be more inclusive and ensure universities are more accessible. And yes, we need to deal with the barriers brought about by anti-Muslim prejudice and preconceptions. But there is also a huge amount of work that needs to be done from within, that can only be done by Muslim communities. These include challenging patriarchal attitudes and beliefs put upon women either culturally or religiously, which limit their potential in life and have a negative impact on our society and our very own communities who, as we have seen, continue to remain economically the most disadvantaged in the UK. We need to and can do better. Yasmin Weaver is project manager at Inspire, a non-governmental advocacy organisation working to counter extremism and gender inequality.